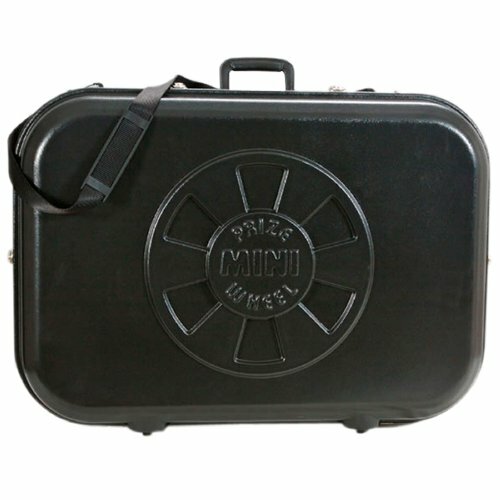 This lightweight travel case makes it easy to store and transport the fully assembled Black Mini Table Top 12-Slot Prize Wheel. The handle and shoulder strap make carrying the game a cinch. Foam inserts prevent movement within the case. Dimensions: 23.5" high x 33" wide x 9" deep; 9 lbs.